The United States became the world's biggest wine market last year, beating France into second place for the first time as consumption slides in the country widely seen as the drink's natural home and Americans develop a greater taste for it. 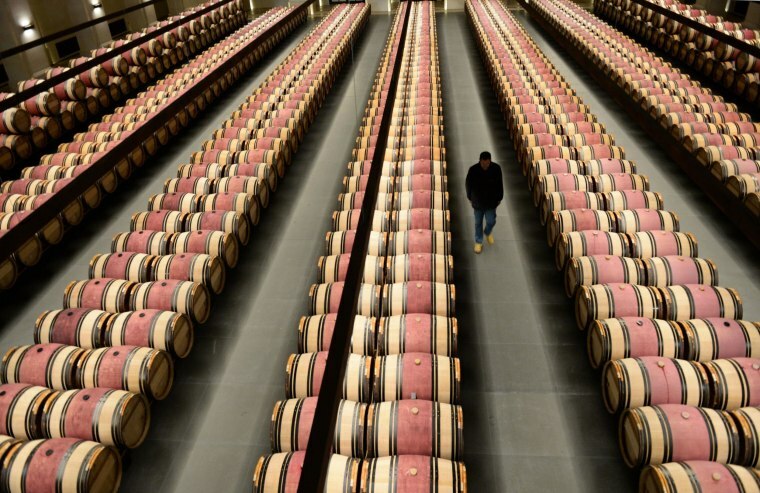 U.S. consumers bought 29.1 million hectolitres of wine in 2013, a rise of 0.5 percent on 2012, while French consumption fell nearly 7 percent to 28.1 million hectolitres, the International Vine and Wine organisation OIV said on Tuesday. U.S. drinkers are still way behind in terms of consumption per head. According to per capita figures that date from 2011, the average French person still gets through almost 1.2 bottles a week, about six times more than the average American. Nevertheless the downward trend in consumption through recent years is fairly dramatic in Europe's wine-drinking heartlands. "In countries such as France, Italy and Spain, people used to drink a lot of wine, but consumption habits are changing," OIV director general Jean-Marie Aurand said on the sidelines of a news conference in Paris. "Meanwhile U.S consumers tend to appreciate wine more and more and their population is larger," he added. France, the world's third largest wine producer behind Italy and Spain but the top exporter in value at 7.8 billion euros ($10.7 billion), saw its consumption per capita fall more than 20 percent between 2002 and 2011 to 46.4 litres per year, he said.